Mortgage Force offer complete mortgage services. When someone has a County Court Judgment (CCJ) issued against them, it means they have failed to pay money they owe, and a creditor is effectively making an official claim for the money they are entitled to. If you have a CCJ issued against you, you will likely find it difficult to borrow money from an establishment. However, taking out a mortgage with CCJ proceedings ongoing is possible, though usually certain conditions need to apply. Many banks will agree to be CCJ mortgage lenders. However, it depends on several important factors. One of the main factors is how old the CCJ is. Usually, the older the better. A recent CCJ against you will lower your chances of getting a mortgage. If the CCJ has been settled, and at least 12 months have passed since that time, that is usually good enough for most lenders. If the CCJ has been marked as 'satisfied', your chances of your CCJ and mortgage co-existing are even better. It all has to do with how bad a risk the lender thinks you are. The more points in your favour, the better. Another important factor is the financial amount involved with the CCJ. The lower the better here. A high figure of many thousands, for example, will likely lower your chances of getting a mortgage, but if the CCJ has been marked as 'satisfied', and if it happened a number of years ago, then your chances of getting a mortgage will be much more favourable. Another factor that might go against you is having more than one CCJ. Securing mortgages for people with CCJ claims against them is never easy at best, and if there are several CCJ claims in your financial past, and if they have not all been marked as 'satisfied,' then your chances of getting a mortgage becomes poor. The size of your deposit may be affected by the type of CCJ against you. Again, if your CCJ is old, marked as 'satisfied,' and was not too high a financial figure, the size of your mortgage deposit will not be too adversely affected. The more recent the CCJ and the higher the financial figure involved, the higher your deposit is likely to be. You should visit a CCJ mortgage broker if you are asking yourself the question, "can I get a mortgage with a CCJ?" They will guide you through all your options and let you know how best to proceed. When you need a mortgage, CCJ advice, and you don't know who to turn to, an appointment with a mortgage broker is probably your best bet. If you live in the West Midlands, or near that area, you are served by one of the best mortgage brokers in the country. Mortgage Force West Midlands have many years of experience. They are located in Walsall High Street and they can offer you a complete mortgage service, including expert advice on having a CCJ and mortgage. You can call them free on 0800 622 6883, or send them an email (benh@mortgageforcewm.co.uk), or drop along 212 High Street in Walsall during office hours. 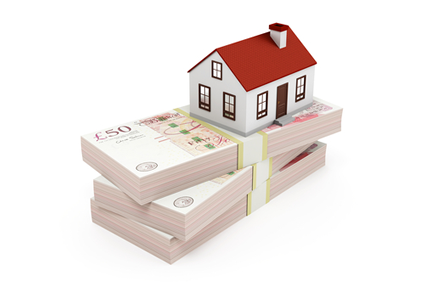 Mortgageforce are your complete finance solutions provider service all of the West Midlands. Mortgage Force West Midlands is a trading style of Spotlite Ltd which is authorised and regulated by the Financial Conduct Authority (FCA). FCA Number: 647022. See www.fca.org.uk.